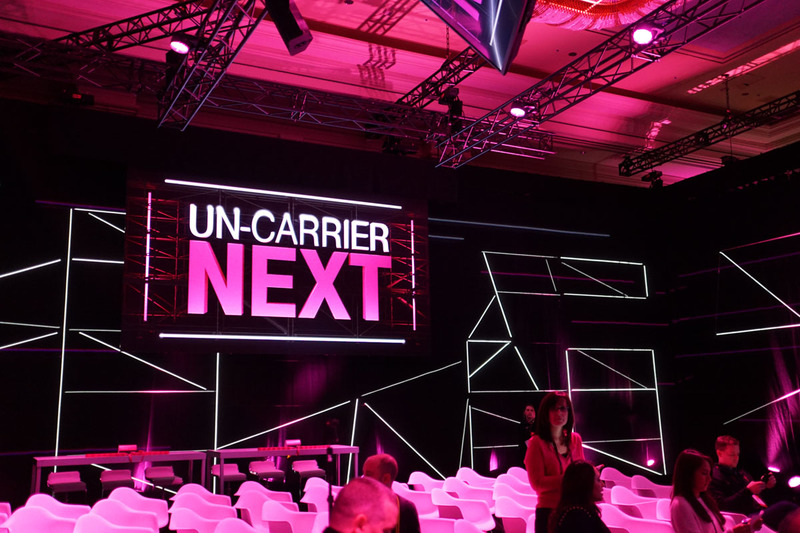 T-Mobile announced its Uncarrier Next plan today at CES, detailing an “all-in” move for the T-Mobile ONE plans. Beginning January 22, T-Mobile will only offer the T-Mobile ONE plan and there are a few changes being made to the plan itself. T-Mobile announced new “rules” for the industry during its press event, claiming customers should no longer have to pay taxes and monthly fees. Essentially, the company feels that you should only pay for what is advertised with no hidden fees, taxes, or future price hikes. With that said, with the new ONE plan, T-Mobile customers will be charged exactly what is advertised, not a penny more as all taxes and fees have been wrapped into the advertised price of the plan. On top of that, T-Mobile also doesn’t appreciate folks paying for data they don’t use. With the newly announced KickBack program, as long as customers don’t go over 2GB of data on a ONE plan, T-Mobile will give you cash in the form of a monthly bill credit. Below is a rundown of T-Mobile’s new rules, which also describe exactly what’s taking place. Mobile IS the Internet now. So why, in 2017, do wireless companies still start their relationship with customers by asking “how much Internet do you need each month?” when 80% of consumers say they don’t even understand what a gigabyte of data is?! T-Mobile pioneered a new way with T-Mobile ONE – one simple plan with unlimited talk, text and high-speed data. Today, Legere announced the Un-carrier is going 100% unlimited, and later this month, T-Mobile ONE will be the only postpaid consumer plan available from the Un-carrier – one simple subscription to the mobile Internet with unlimited everything. Of course, existing T-Mobile customers can keep their current plans if they want. Coupled with the announcement of its all in move with T-Mobile ONE, the company is also announcing a promotion for anyone debating on making the switch from a different carrier. Starting tomorrow, customers will get $150 per line (up to $600 for a family of four) for every line you switch to T-Mobile ONE up to 12 lines, for a limited time. There’s no trade-in or equipment financing required, and customers can spend the money however they see fit. Again, all of the changes T-Mobile has detailed will take place January 22, and for existing customers, they can choose whether to accept these changes or keep what they have. However, T-Mobile does state anyone using a plan could potentially save money if they make the change. For all of the details, and there’s a ton of them, check out T-Mobile’s site by following the via link.